Above: Ella Koon with her parents. Ella Koon’s (官恩娜) maternal side of the family is currently in the midst of a legal battle regarding her grandmother’s will. Ella’s grandmother passed away in 2014 at the age of 85. Perhaps knowing her time was limited, she prepared a will in 2013. Surprisingly, she left everything to her godson and nothing to her four daughters, including Ella’s mother. Finding the will suspicious, Ella’s aunts are contesting its validity. The lawsuit included several suspicious factors leading up to her grandmother’s death. Ella’s grandmother reportedly underwent eye surgery in 2011. A psychiatric report claims that she suffered from obsessive compulsive disorder and severe cognitive impairment after the surgery. While living with Ella’s family during that time, she was noted to have significant personality changes. She went from being someone who is frugal and careful with money to nearly clearing out all her savings. She reportedly possessed $30 million HKD in the bank and six properties. She lived in one property for most of her life and rented the other five out for income. 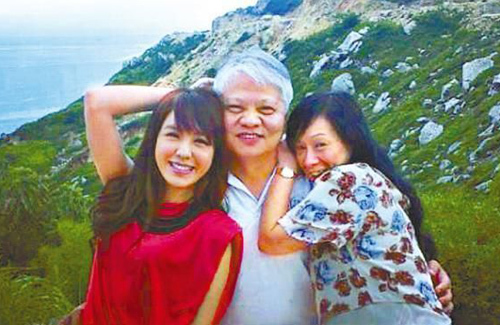 When she died, she only had approximately $16 million HKD left in her bank account and one property remaining. She had sold three of her properties for approximately $16 million HKD in the past few years. Furthermore, she supposedly told her godson to sell the remaining property 13 days before she died. However, she was extremely ill and could not have had the energy to pick up a pen and sign documents. This remaining property sold for $5 million HKD. The money acquired from selling all of her properties have gone missing and there is no trail as to where it has gone. With all these questionable factors, the judge has granted a hearing. Yesterday, Ella’s aunt was seen at the High Court in lawsuit proceedings to recover the assets.